So it's Christmas Eve tomorrow!!! I still can't believe it. Are you ready and all set for the big day? I have all my presents sorted, so now it's just waiting time. Oh, and I haven't decided what I am wearing for Christmas yet, but I already have an idea for my make up. Shouldn't that be other way round? I am weird, I know. I am planning to go for very simple golden eye, with a little bit of winged liner and red lips. Very traditional, christmassy make up isn't it? 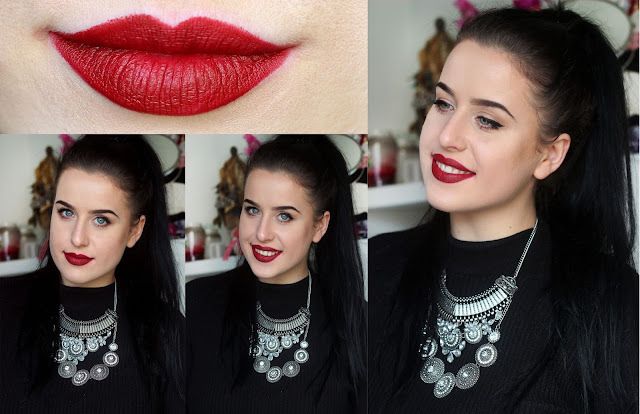 Since it's all about reds and berry colours I have picked few of my favourite options for festive lips. They are very similar, but so different at the same time. Most of them are matte, because HEY! I am obsessed with matte lipsticks. But I've also added few moisturising products. The best part is that pretty much all of them are very affordable! Obviously, I had to include some of MAC lippies, because everyone loves good quality, long lasting lipstick right? So have a look and let me know your picks. 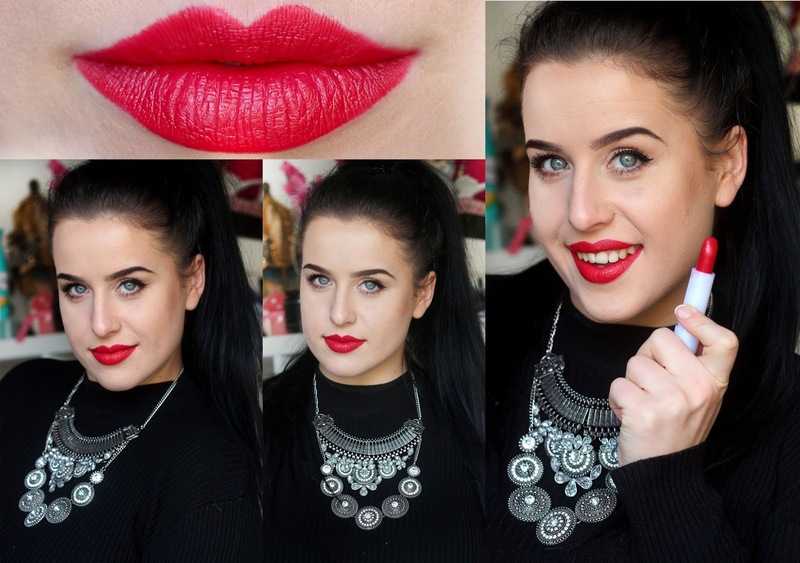 Collection Lasting Colour Lipstick £2.99 - this is very retro, matte,bold red. I absolutely love this colour and how it looks on. It is very glamorous and just perfect for Christmas night. For £2.99 price tag, lipstick quality is amazing! Shade: RED CARPET. Natural Collection Moisture Shine Lipstick £1.99 - this one is for those who doesn't like matte lipsticks. 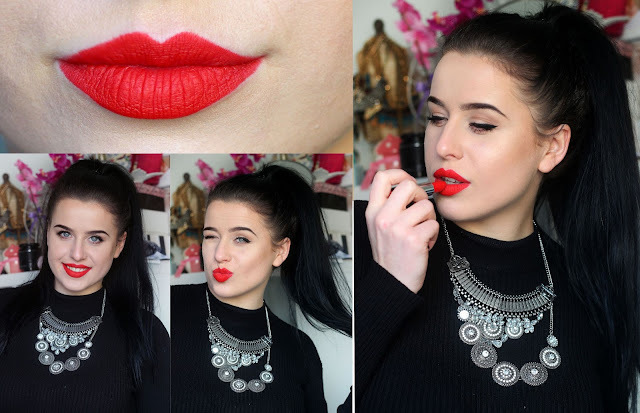 This lippie wears very comfortably and the red colour is just stunning. Shade: CHERRY RED. Rimmel - Kate Lasting Finish Lipstick £5.49 - berry tone purplish lipstick. It's very different of all the ones I've listed, but I love how well it accentuates my eye colour. Brilliant for the evening. Shade: 030. 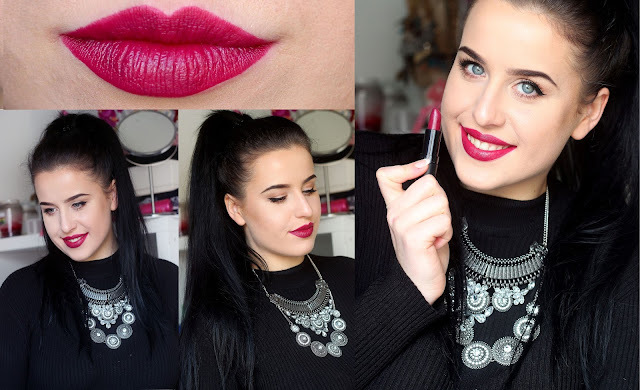 Maybelline Color Sensational Matte Lip Stick £6.99 - the shade of the colour says it all. Beautiful burgundy wine shade with slightly brown and red undertones. Shade: DIVINE WINE. 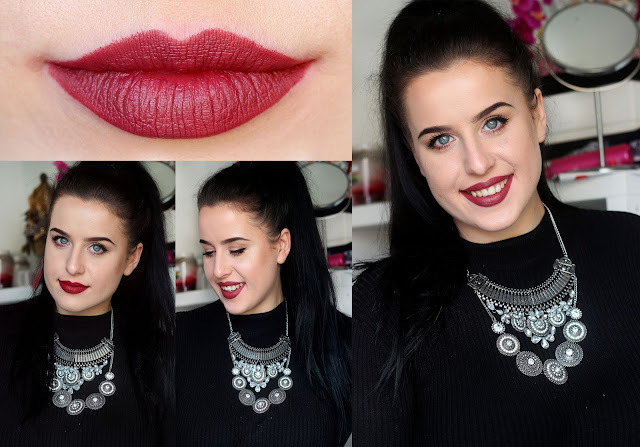 MAC Matte Lipstick £15.50 - another burgundy with a little bit more brown undertones. It's more of a dusty burgundy, very suitable for day and night wear. Shade: VIVA GLAM 3. 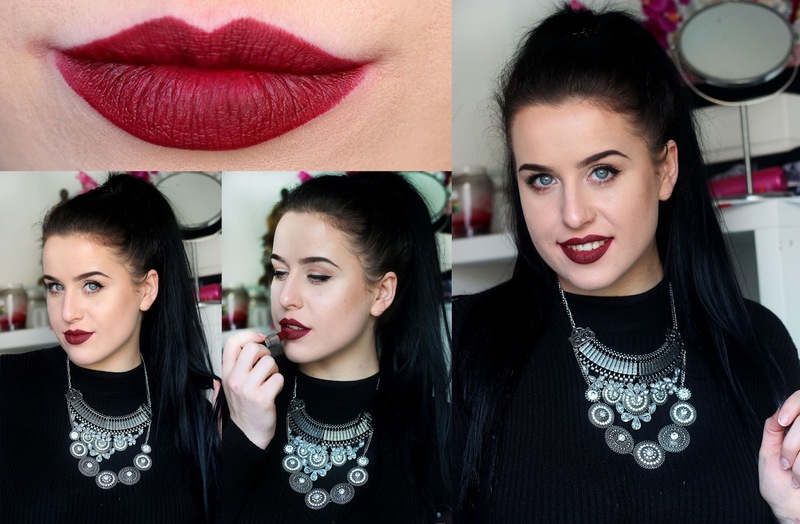 MAC Matte Lipstick £15.50 - Oh how much I love burgundy lips, huh? You can tell. This one is stunning deep, dark burgundy shade which absolutely perfect for night time. Shade: SIN. Also, let me know your favourite lipsticks and colours to wear for this time of the year. Nivea Man Post Shave Balm as a primer?